Telecom Cooling Fan Tray Designs. Control Resources’ VariCool group specializes in custom fan tray design and manufacturing for telecom cooling applications. The most complicated component in a fan tray design is the electronics to control/monitor fan speed and report fan tray status. With our 25+ years of designing and producing custom fan trays for telecom cooling, CRI has the capability to assemble, test and troubleshoot your telecom cooling fan tray design, greatly simplifying project management. CRI’s ISO 9001:2008 registered electronic design and manufacturing facilities have the capability to provide complete custom fan tray design for telecom cooling applications from prototype to production. 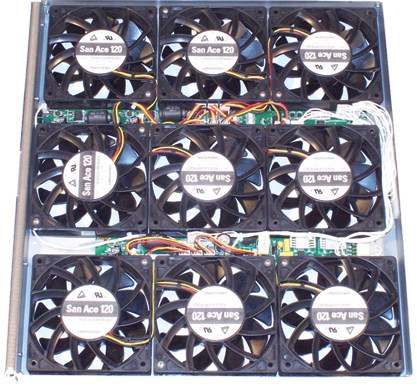 fan tray design & telecom cooling requirements.